Upon returning as a Rifle Squad Leader in the Korean war in 1953, Carl Webb wanted to continue serving his country and enlisted with the National Guard later retiring as a Light Colonel in 1991. 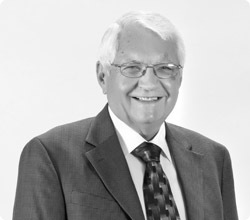 However, Carl’s career in accounting began as an OSU graduate studying hard to pass the CPA exam and did so in 1958. Carl then began his career working as a CPA in the public sector for Pete Marwick & Mitchell. After 8 years, Carl left public accounting by entering the private sector as an Oil & Gas Tax Accountant for Livingston Oil Company. It was while working at L.V.O. that Carl was offered a position with H.C. Price as a Tax Manager working out of a new office located in the famous Price Tower of Bartlesville, OK. Carl continued working for H.C. Price until 1980 when he decided to reenter the public sector of accounting and launched his own firm located in the heart of Tulsa. Now over 30 years later, Carl is still working with many of the same clients and is able to serve their children and grandchildren. Carl continued to work for the grandson of the founder of H.C. Price. Carl continues to specialize in Oil & Gas and even Farms. Carl R. and Virginia E Webb sponsored an educational foundation for college students who are descendents of the Company I of the 179th regiment 45th division. As a Master Gardner, Carl has volunteered in many elementary schools fascinating the students in lower income districts with tales of plants and bugs.